Ninjutsu ( , Return an unblocked attacker you control to hand: Put this card into play from your hand tapped and attacking.) Whenever Ninja of the Deep Hours deals combat damage to a player, you may draw a card. 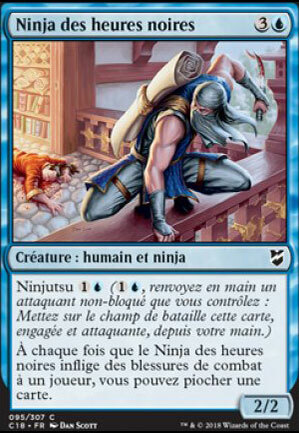 201 decks jouent cette carte.